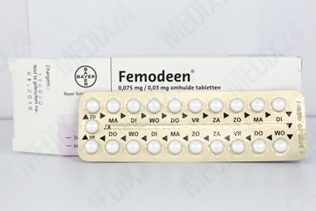 Femodene is a combined contraceptive pill because it contains two active ingredients: oestrogen and progesterone. 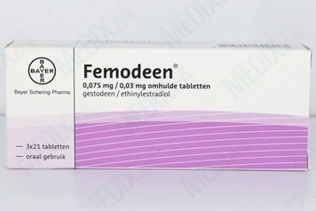 Femodene is a pill of 3rd generation and contains less than 50 micrograms of oestrogen. There are Femodene packs of 21 pills or 28 pills, the 4th week of the 28 pill pack does not contain any active ingredients and is meant for women who prefer to take a pill every day rather than allowing a stop week without taking pills. This way the stop week occurs just as it would with the 21 pill pack, as the 4th week pills do not actually contain any hormones. Femodene pill works by preventing ovulation. As no egg is released by the body, it cannot be fertilised and you will be protected from pregnancy. 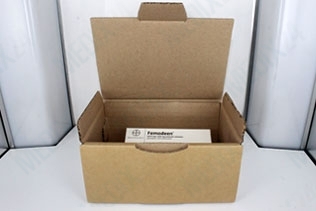 If you use Femodene the proper way, it is 99% effective. On the back of the strip, the days of the week are marked. You start with a pill corresponding to the day you start on and continue through the strip until you have used all pills. If you have the 21 day strip, you then stop taking pills for a week to allow for menstruation and start taking pills from a new strip after exactly 7 days. You should therefore always start a new strip on the same day of the week. All forms of combination contraceptives increase the chance of thrombosis. This can develop at any time, regardless of how long you have used Femodene. Thrombosis can block a vein or artery and thus even lead to death. This description is based on prescription information approved by the Federal Institute for Drugs and Medical Devices (BfArM ), but in no case replaces the advice of a doctor or pharmacist.